If you have diabetes, it is strongly recommended that you receive an annual eye exam from an Optometrist. Even if your doctor has been checking your eyes, only an Optometrist has the necessary equipment and training to look for signs of eye diseases that may be related to your diabetes. Diabetic Retinopathy (also called “diabetic eye disease”) is a serious condition that that can eventually lead to blindness. Unfortunately, up to 80% of patients with diabetes may develop diabetic retinopathy. 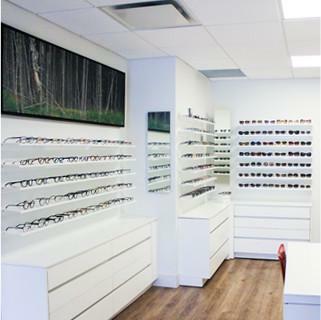 OHIP provides coverage for medically-necessary eye exams. This includes annual eye exams for patients living with diabetes. Diabetic eye disease is the term used to describe a group of eye conditions that impact diabetics. Diabetic Retinopathy affects the blood vessels in the retina. For people with diabetes, Diabetic Retinopathy is the most common form of vision loss. Diabetic Macular Edema (DME) is a swelling of the macula. About half of the people that develop diabetic retinopathy will also develop DME. Diabetes also influences the development of other eye conditions, such as cataracts and glaucoma. Like many other eye diseases, the initial development of diabetic eye disease often shows no obvious symptoms. Because of this, it is absolutely vital that diabetic eye disease is caught and treated early. Some symptoms – such as the appearance of floaters (as a result of retinal bleeding) or blurred vision – present themselves as the disease progresses. We perform a dilated eye exam, where eye drops are used to widen the pupil, to check for damage or signs of disease in key optical tissues (the retina, macula, and optic nerve). At the very least, you should have an eye exam performed annually. We may specify a more frequent schedule depending on the results of your testing. Your eye health is of paramount importance to us. We are very much focused on preventative treatment, as once vision loss occurs it can be irreversible.